As I attended to FPGA Workshop I got another Badge “FPGA 101 Badge” with UpDuino. Good workshop, but I hope next Hackaday in Belgrade would have workshop on second day or at least not on same time as talks. 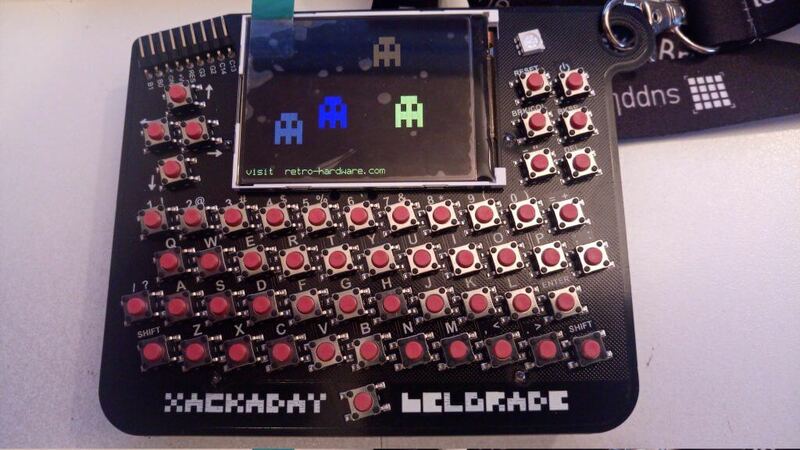 Lets get back to hackaday retro badge. 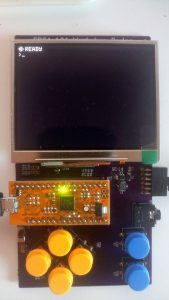 As someone who was lucky enough to learn basic, assembler, pascal and worked on CPM on 8 bit computer I like it very much. I’ve played first with CPM, tried dir,dirs,stat command, checked and checked all drives. Found Sargon (text chess) and played chess, while waiting to let us on conference. Tetris was next, of course, to bad that you can not play it in both modes portrait and landscape and arrow down was not working as expected. 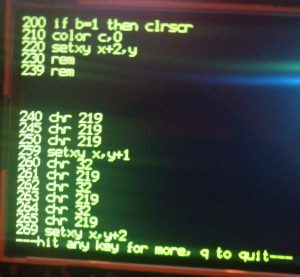 But Hackaday Basic reminded me even if you do not know the device you can write code and interpreter will run it on any device. 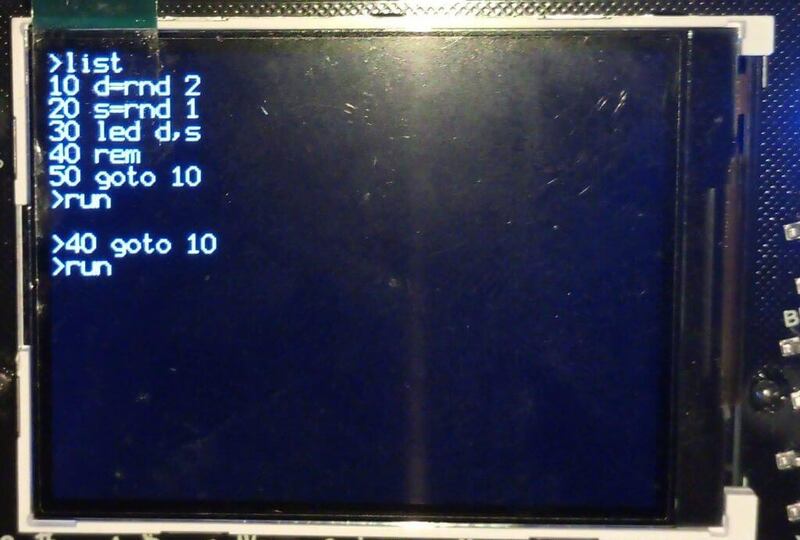 Initial Basic example in device and small booklet with commands did help and I started to code in BASIC, to discover some features (read bugs). clrscr will clean up screen and if you print something to screen and shut of termina (termt) you will never see it. Workaround is to wait 250~1000, so screen redrawn will be eventually be executed. Because of screen redrawn, in order to create sprites you need to insert waits (more music) but you get painfully slow movement. Sometimes deleting line with number and enter works, but do not play with this you may kill your program with this. It will not run any more! hidden snake game also have a feature(bug), if an apple shows on snake it will disappear so you will hunt for an invisible apple. 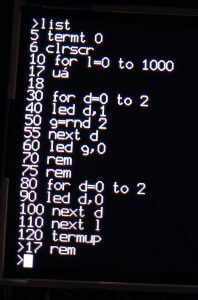 setserial speed command in basic. 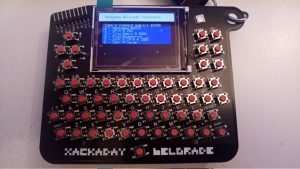 Bottom line, Hackaday Badge is excellent retro computer, that can do so much more,even with those bugs I would buy it. And I would not be surprised if we will see more interesting things on it.